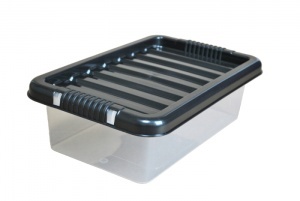 6 litre lidded storage boxes. Can be purchased in a range of discounted packs or as a single box. When the black recycled plastic lids are on, the boxes can be stacked vertically on top of each other.